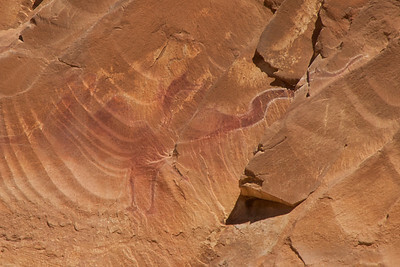 My Love of Photography has a lot to do with my passion for Discovery. 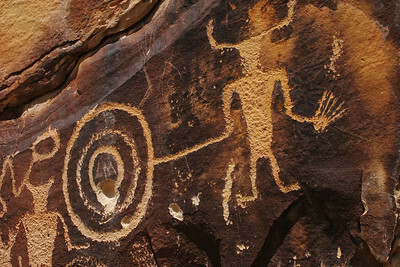 I am a Professional Student at heart, with a Degree in Anthropology, and I love to learn new things. 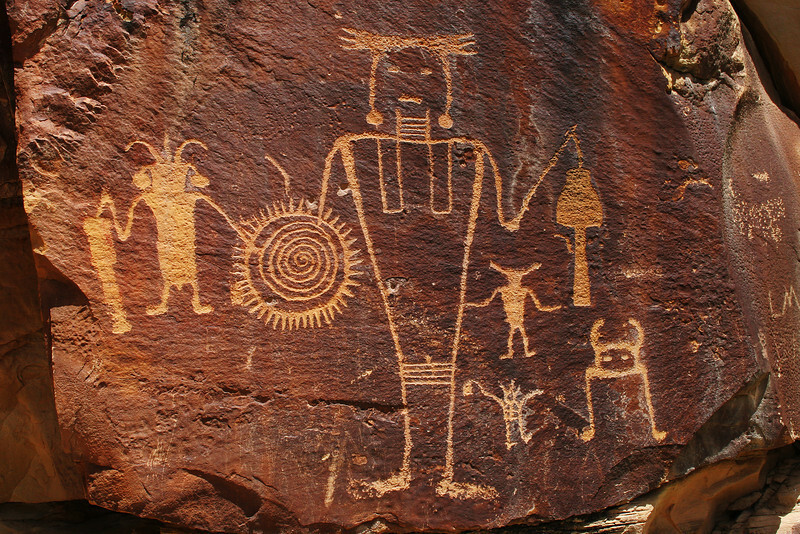 One of the benefits to living in the Desert Southwest is the heavy concentration of Native American History and Artifacts. 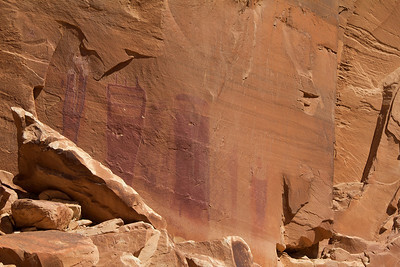 The beautiful Art they left behind on the sandstone walls and cliffs are amazing. 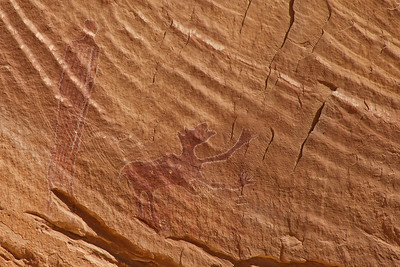 It is exhilarating to Photograph these Visions of the Native Americans. 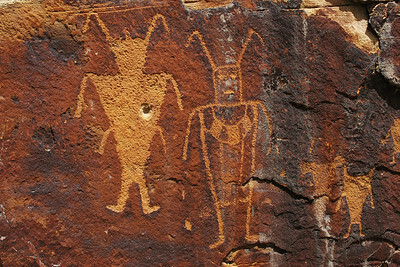 There is no Rosetta Stone to tell us what these symbols may mean. Whether a warning, a map, graffiti , a vision or a history, we can only speculate. 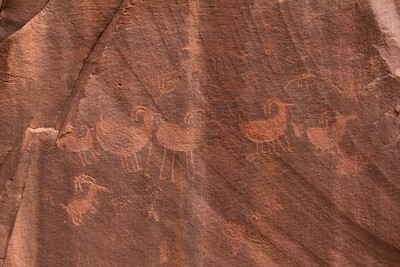 I like to think of these has Art in a most natural sense. 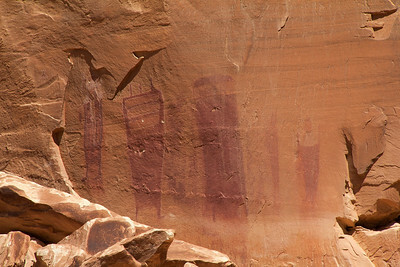 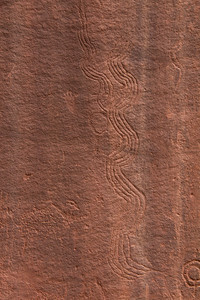 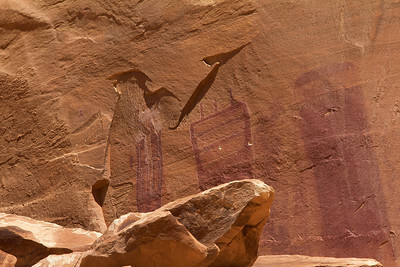 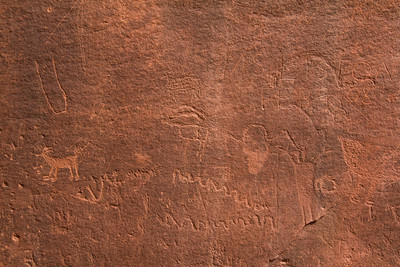 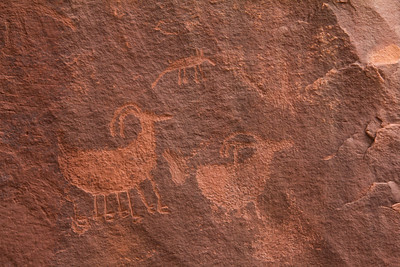 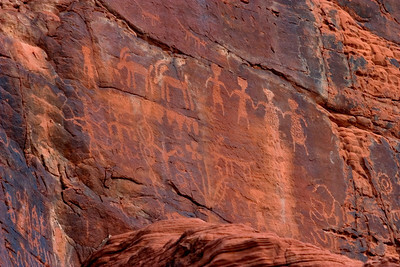 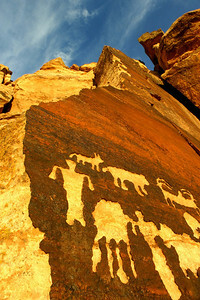 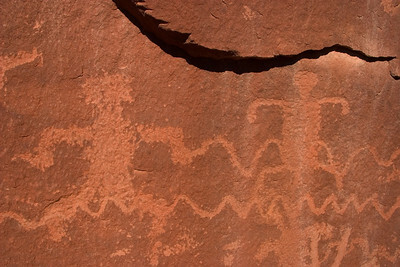 The artists may have had as a model a Medicine Man in all his regalia, we can also see Antelope, Big Horn Sheep, Bear, and many contemporary animals amongst the Petroglyphs and Pictographs. 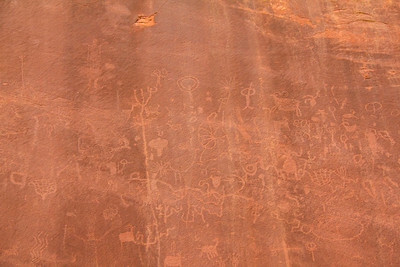 You will find much of the abstract here as well. Figures with three heads and six fingers and toes, elongated bodies and even wings. 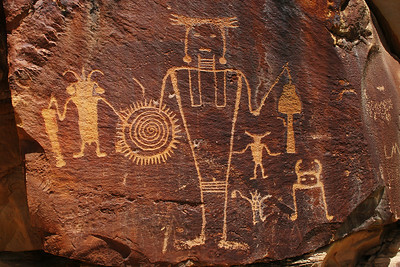 The time and effort these Native Americans went to, to transcribe their Vision. 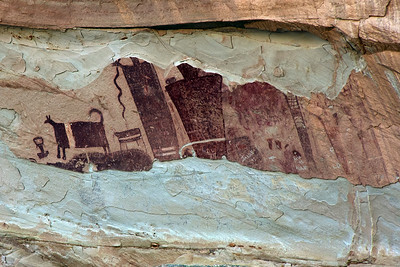 Many times hanging on ledges or making a scaffolding to create their Visions of Art and Spirit.To me signifies the importance to their Culture and History. 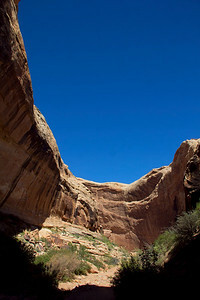 So Please Remember Take Only Photographs, and Leave Only Footprints. 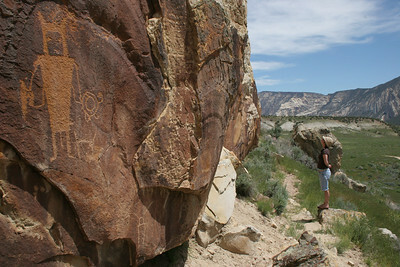 Please refrain from touching the Petroglyphs and Pictographs as the oil from our skin may damage what is left.